VTB had one of the largest IPO's this May with the shares trading above the markets during the first months, but now following the trend of all international stock indices the share prices are down. However VTB CEO Andrey Kostin remains optimistic about the future: “We think that the bank VTB itself, the Russian banking sector, the Russian economy are very healthy and we expect very good results both financial and from the point of view of the growth of our business in Russia. So we look quite optimistic in regard to this. But, of course, we also hope that the international stock market will help us in this situation and the recent crisis and recent downfall trend will be reversed,” he said. I think we will continue to provide both in roubles and in currencies like dollars and euros our mortgage and consumer loans at the same rate as we did before. It might lead to a slight increase of our lending to big corporations but we still have to see what the situation will be and how this crisis of liquidity in the West will continue or not. We very much hope that it will have a limited effect and the considered actions of central banks in Europe, America and Japan will result in much better situation. “Despite the current market situation, one shouldn't exaggerate VTB's risks. It is a state-controlled bank and the state is naturally interested in helping it, if needed. So if we imagine a sea storm and 10 meter-high waves, these waves can be deadly for some smaller boats, but a huge ship won't even notice them,” suggests Maksim Osadchy, Antanta Capital Senior Analyst. Russian banks face increased borrowing costs in the West. VTB, Russia's biggest borrower, is estimating a 0.7% increase. Still, the bank says it sees no reason to increase rates for mortgage and consumer and loans. This year it has already increased the volume of mortgage loans by 142% and plans to reach $US 3 BLN before the end of the year. Consumer loans have doubled in the first half of this year and VTB is planning a further 80 % increase by year end. According to Mr Kostin, only one half percent of the IPO shares have changed hands during the instability of the last few week matching the half percent which changed hands in June when VTB shares appreciated by more than 5%. 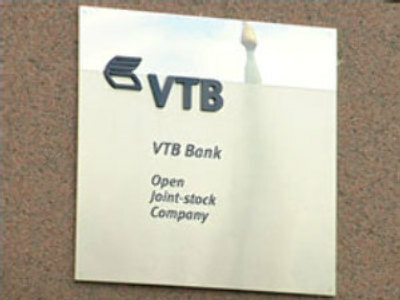 And with he sees this as proof that general trust in VTB remains very strong.